Long Termers Organization | Laughing on the Inside, Inc. The workshop you sponsored at Valley State Prison for Women was wonderful and meaningful to all who participated. 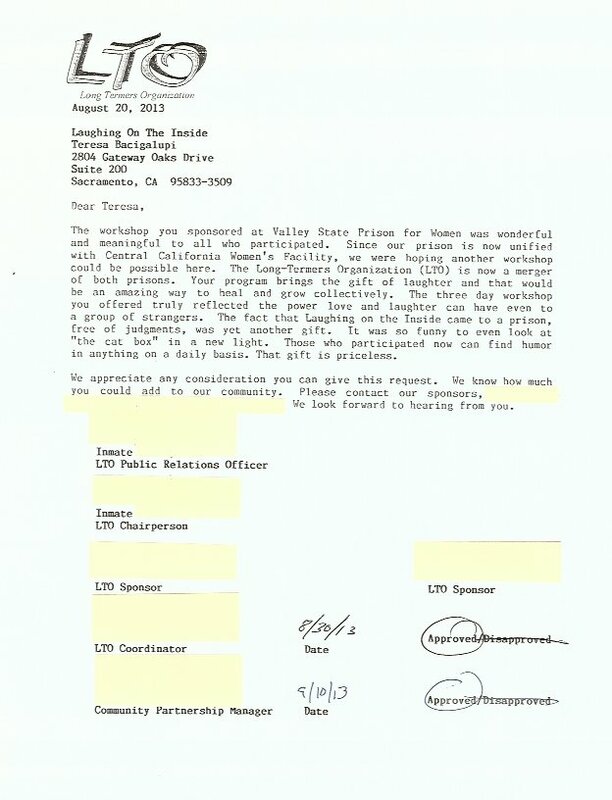 Since our prison is now unified with Central California Women’s Facility, we were hoping another workshop could be possible here. The Long-Termers Organization (LTO) is now a merger of both prisons. Your program brings the gift of laughter and that would be an amazing way to heal and grow collectively. The three day workshop you offered truly reflected the power love and laughter can have even to a group of strangers. The fact that Laughing on the Inside came to a prison, free of judgments, was yet another gift. It was so funny to even look at “the cat box” in a new light. Those who participated now can find humor in anything on a daily basis. That gift is priceless. 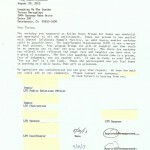 We appreciate any consideration you can give this request. We know how much you could add to our community.